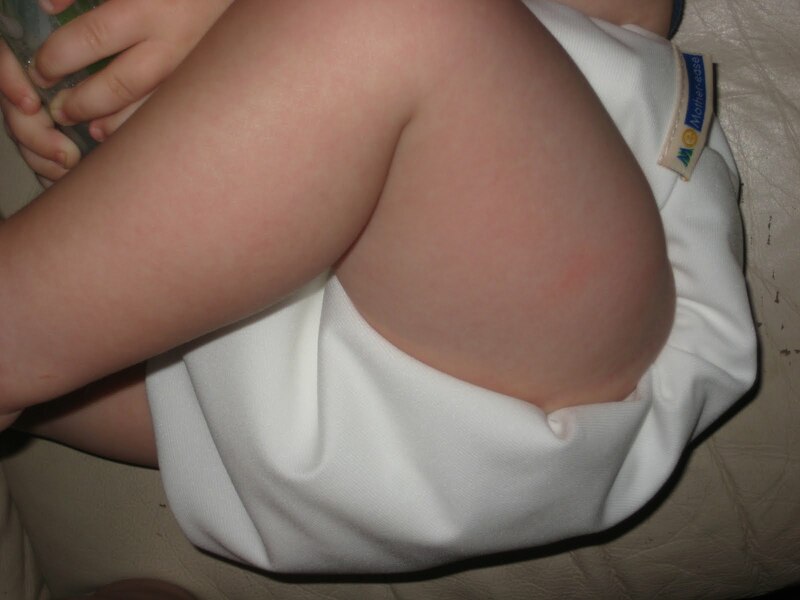 Mother-ease Cloth Diapers generously sent me an all in one cloth diaper to review. 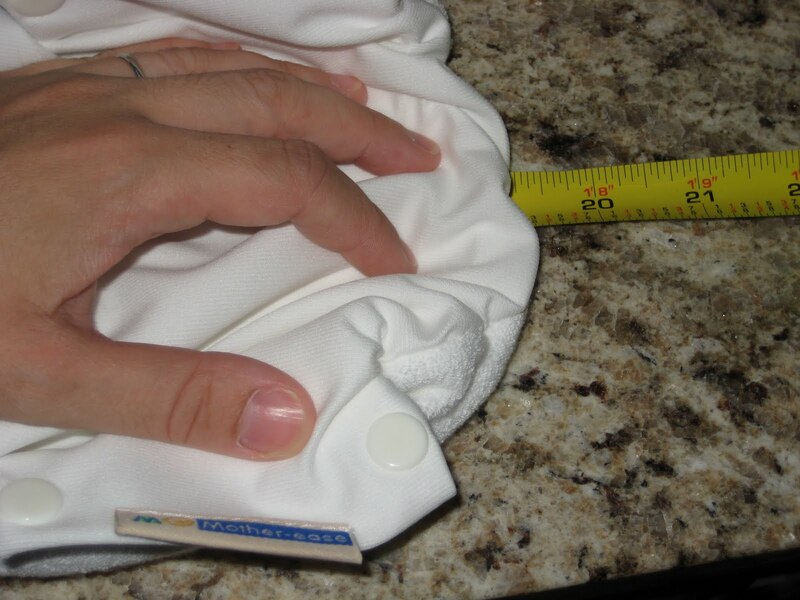 Mother-ease is a Canadian company, and they have been making cloth diapers since 1991. They actually have the term “one-size” trademarked and make all of their diapers from start to finish in their Ontario factory. 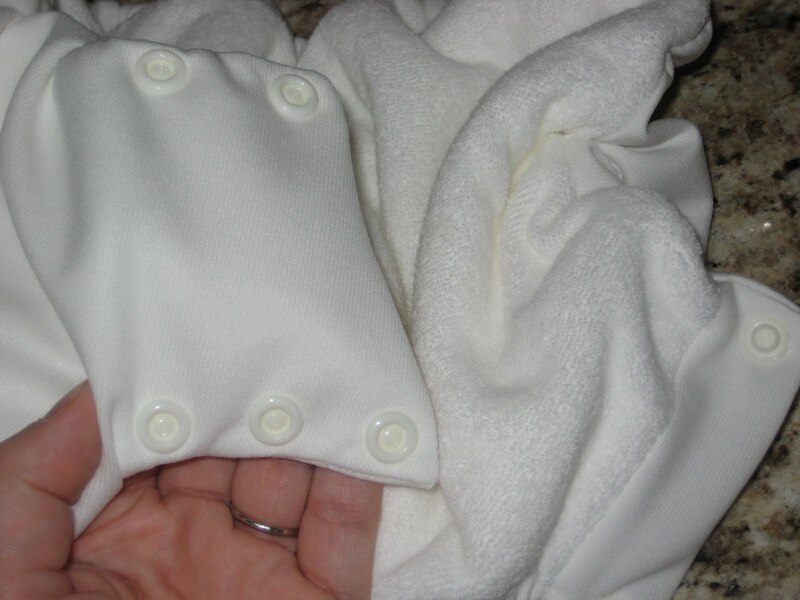 The side snapping AIO diaper has a knit cotton terry inner and a waterproof outer. The elastic reminds me of the Kushies diapers. I don’t know how well it would hold up against breastfed baby messes. 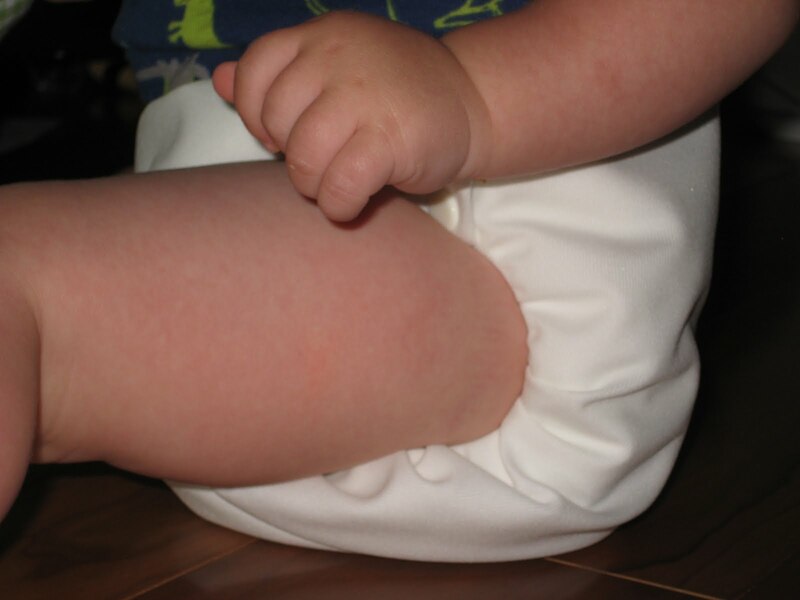 The diapers come in small (10-20 lb), large (20-35 lb) and extra large (35-45 lb). It came with a brochure with information about the products they carry and materials used, as well as a care & washing guide. I chose the large, since my son is about 17.5 pounds. The first thing I thought when I took the diaper out of the package was that I had made a mistake! It seemed huge! It seemed really wide as well. You can see from this photo that it definitely is wider than the Bumgenius. Folded, it’s nearly an inch longer than the BG on the large setting. Stretching it gets you about an extra inch as well. I was worried that when I put it on him, it would be falling off of him, or super bulky. It’s definitely pretty basic in the way of looks. It comes in white only. I got a good fit around his waist on the snuggest snap setting. No gapping at the leg either! But I got more pictures of a blurry leg or the empty carpet as he zipped away before the camera took the picture! I was actually surprised that it fit him so well (he is in mediums in everything else) and wasn’t bulky at all. It’s an all in one, so of course it takes a bit longer to dry than other diapers. 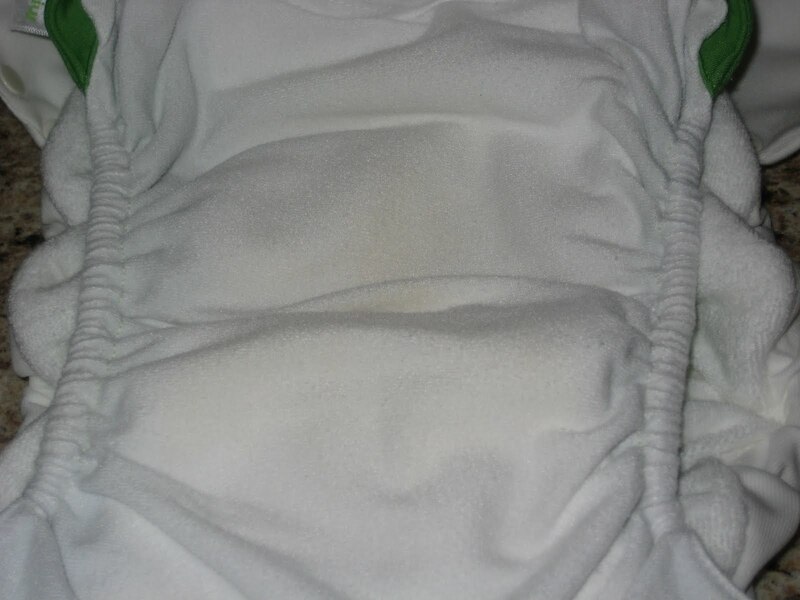 It may look basic, but it didn’t leak and it washed up very well after he “christened” it as he always has to do with new, pristine white diapers. No stains! If you have a bigger child and need something to take you through potty training, this is a great choice. The side snaps would make it easier to pull up and down (instead of unsnapping) and if the extra large is sized as generously as the large is, I imagine it would fit some very large kiddos! You can shop online whether you are in the U.S., Canada or International. The all-in-one diaper retails for $15.95-$17.95 in the U.S. depending on size. They also sell one size and sized fitted diapers, covers, wraps, swim diapers and other accessories. 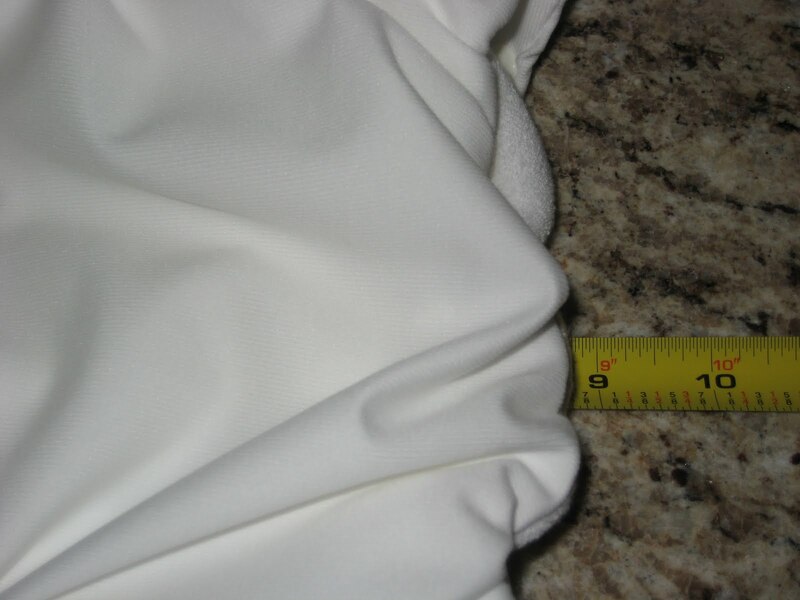 Another product worth noting is their bedwetter pants which come in sizes fitting up to 65 pounds and absorbing 21 ounces! 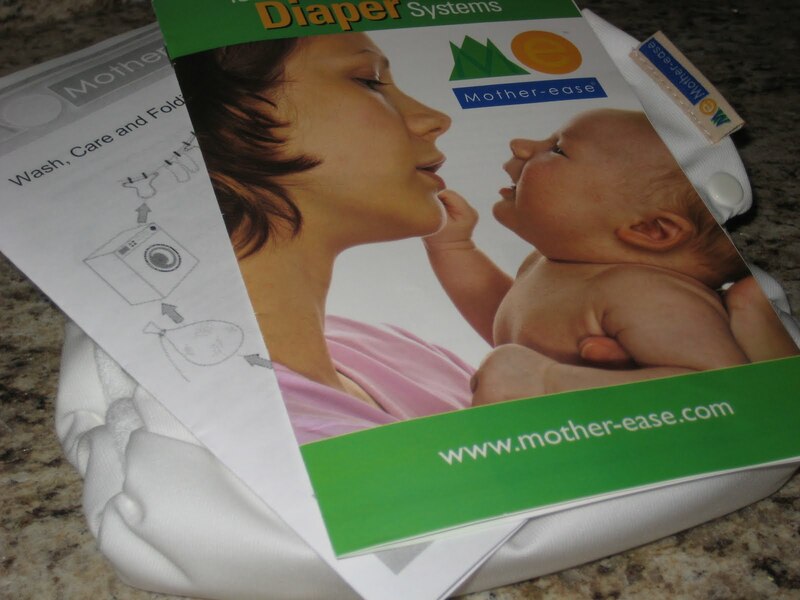 Thank you to Mother-Ease for sending me the review diaper at no charge. I was not requested or required to write a positive review, I was not otherwise compensated and the opinions are mine. I’ve been a Mother-ease user for 4 years and 2 kids. I LOVE the durability of their products. 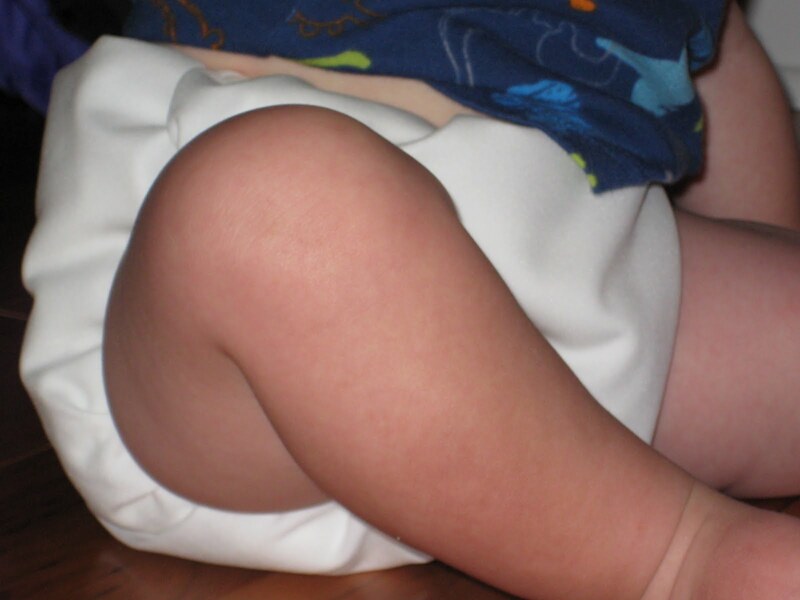 I use the One-Size diapers and find they are trimmer than the AIO and very leak proof. Their wipes also stand up over time in teh wash. Where my other washcloths are threadbare and badly fraying at the edges, the ME ones are still thick and the edges still tight. They’ve just come out with a new product line – Wizard with super-cute new cover patterns and versatility. A great update to their line. I’d love to see you review one of those! I’ve been keeping tabs on the wizard line on Facebook. I’m excited to maybe try one! >My son is a big kid (95% or higher all the time), so if he doesn't train before he outgrows my BGs, I'll definitely look in to these! Thanks for the review! >great review! i have some me covers that were converted into all in ones, and they work very well as trainers! they slide on and off easily. 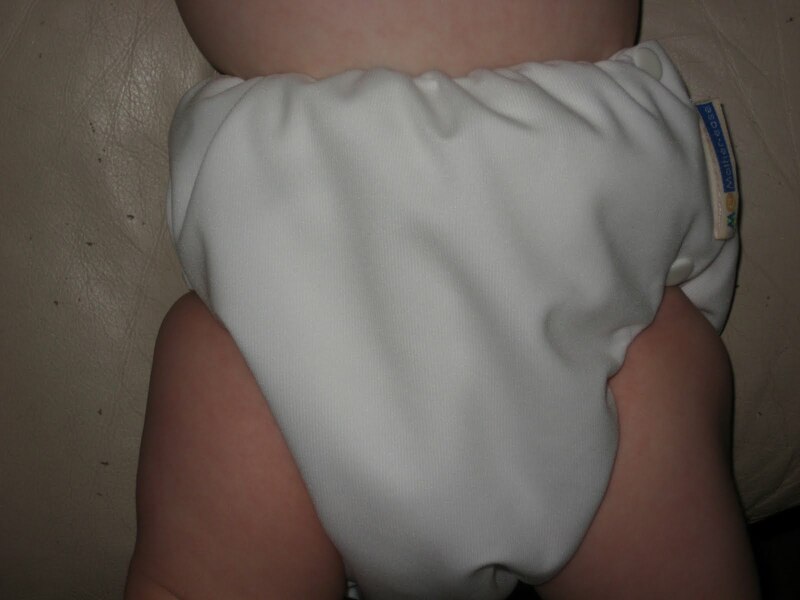 while they aren't the prettiest, if you're looking for function for diapering through potty learning, they are perfect!